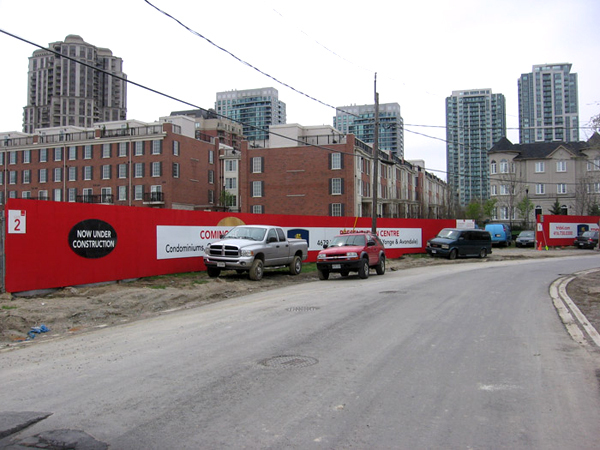 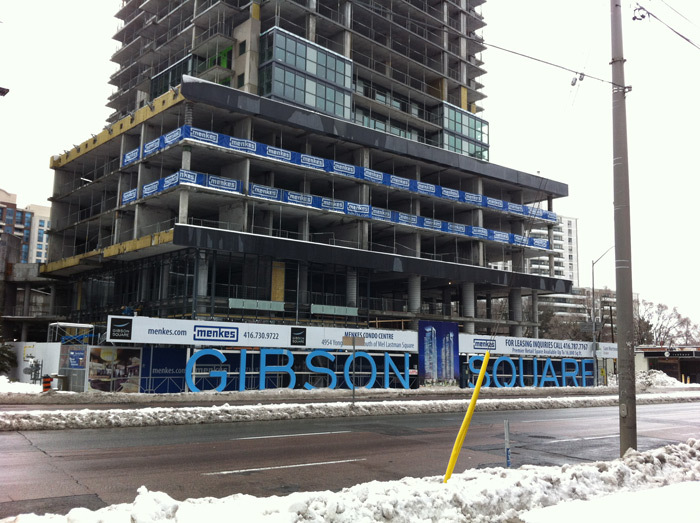 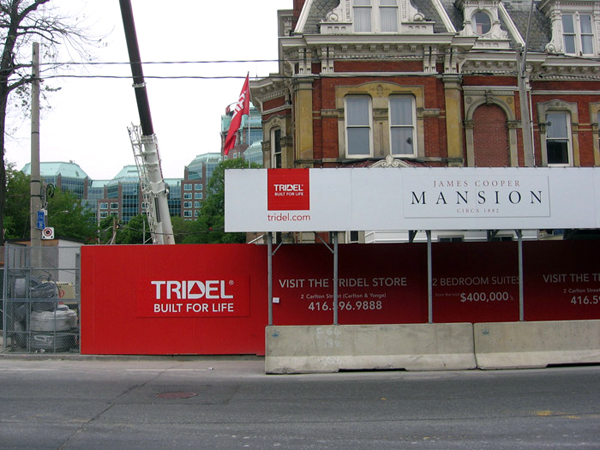 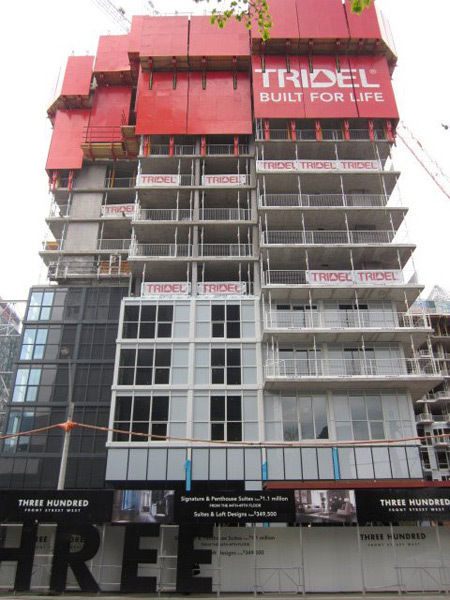 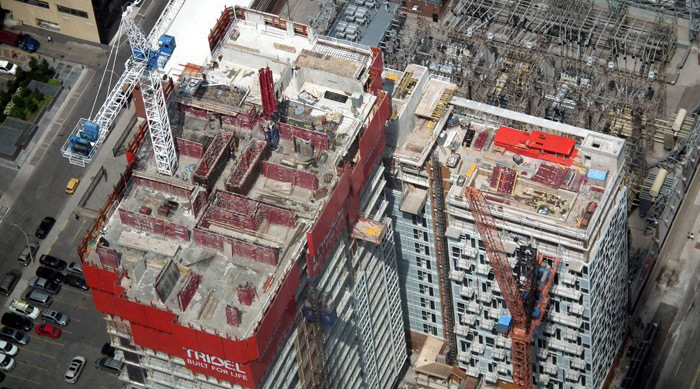 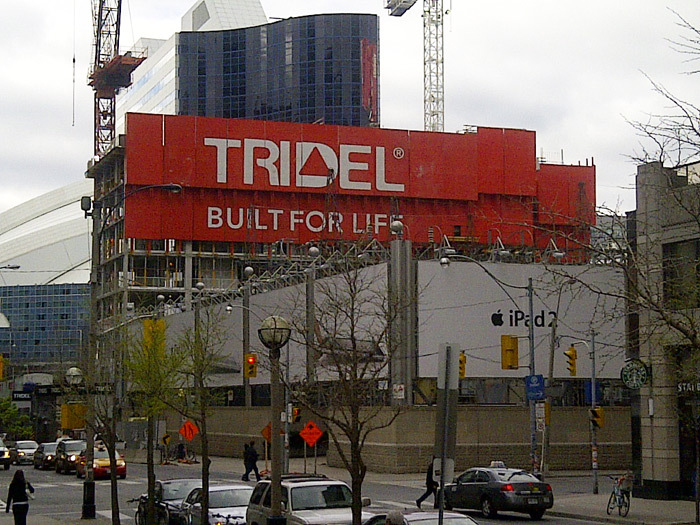 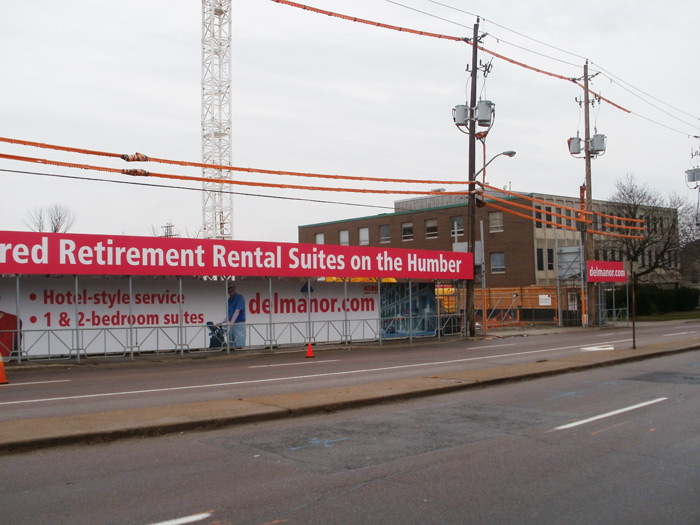 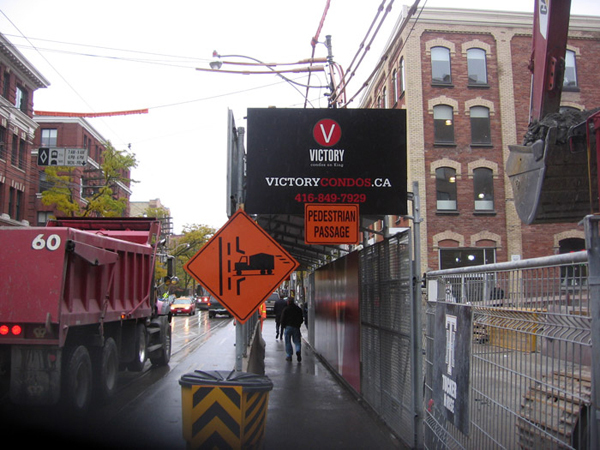 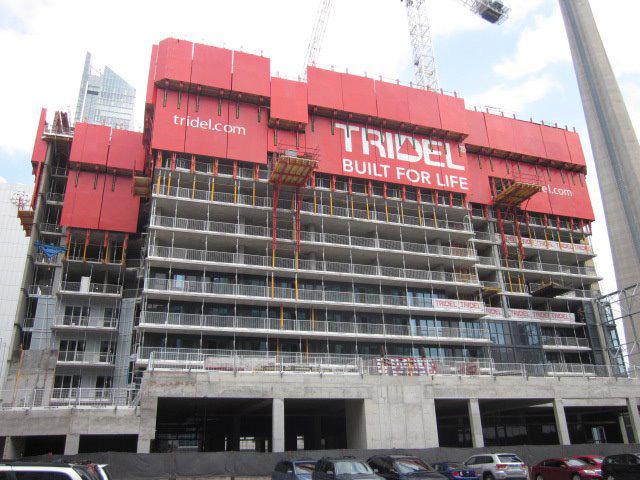 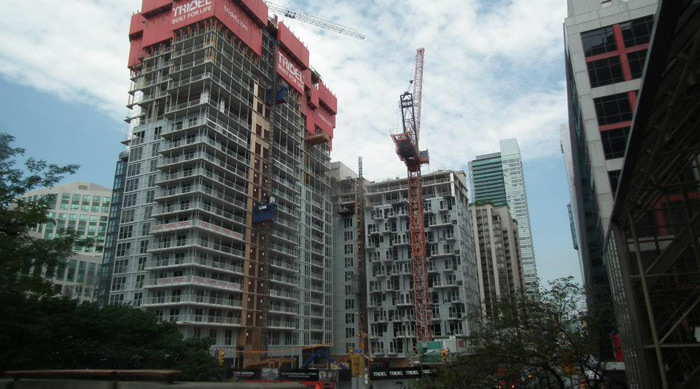 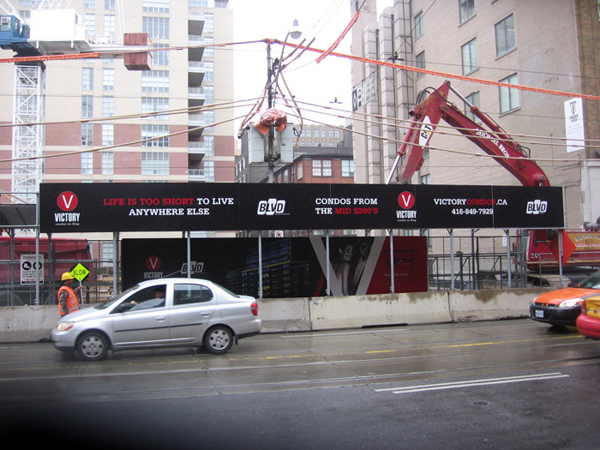 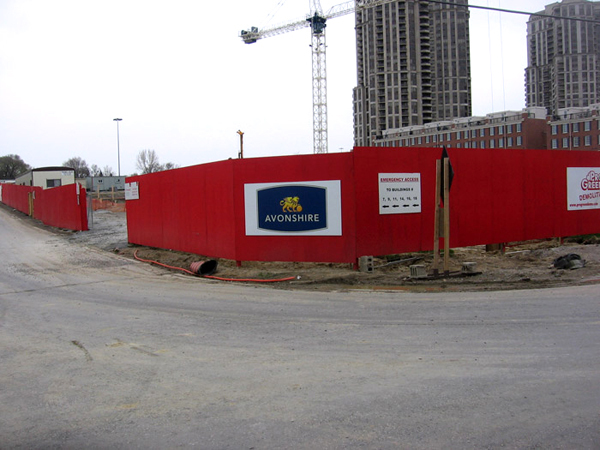 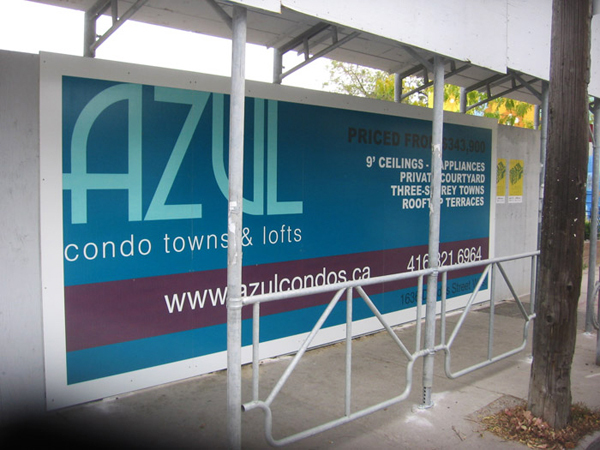 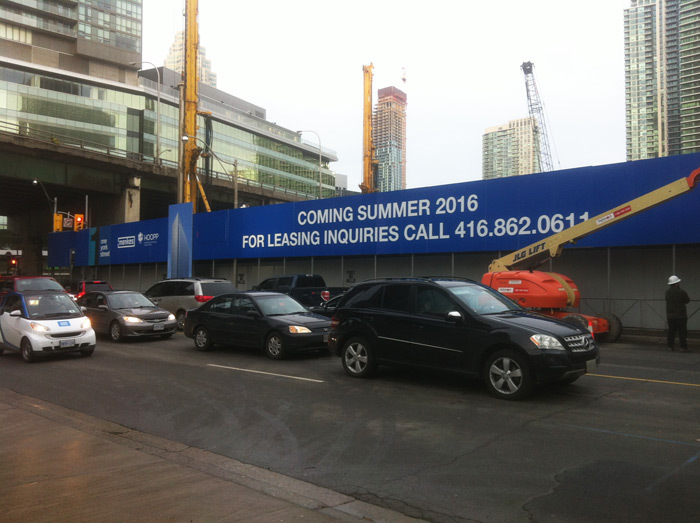 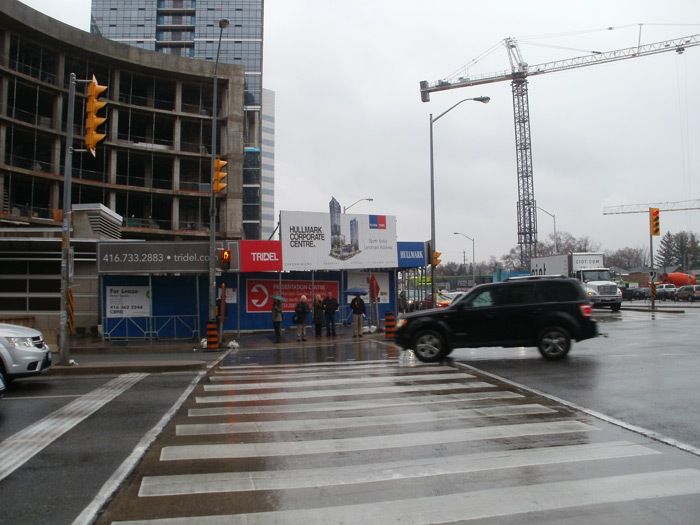 Using large format graphics that keep you on brand message, hoardings are the ideal way to make use of the available space at construction sites to promote upcoming events, condominium openings, and various products to passers-by, 24/7. 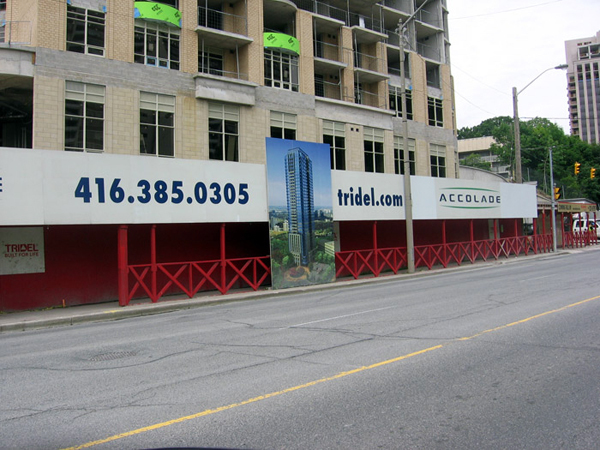 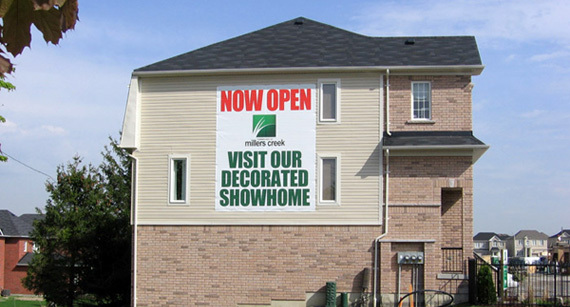 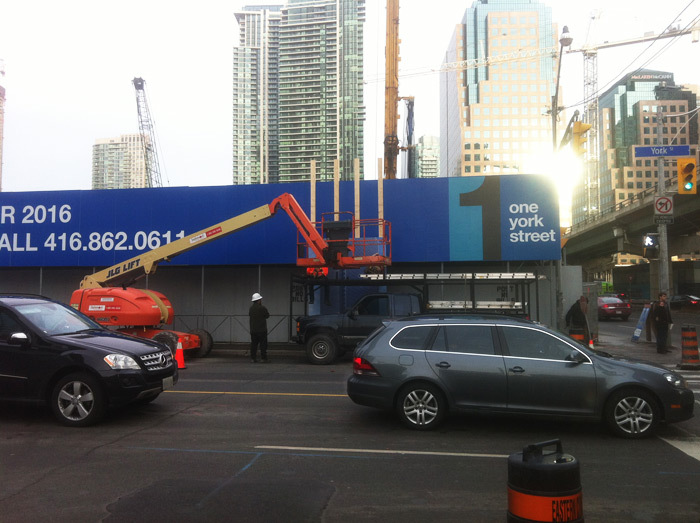 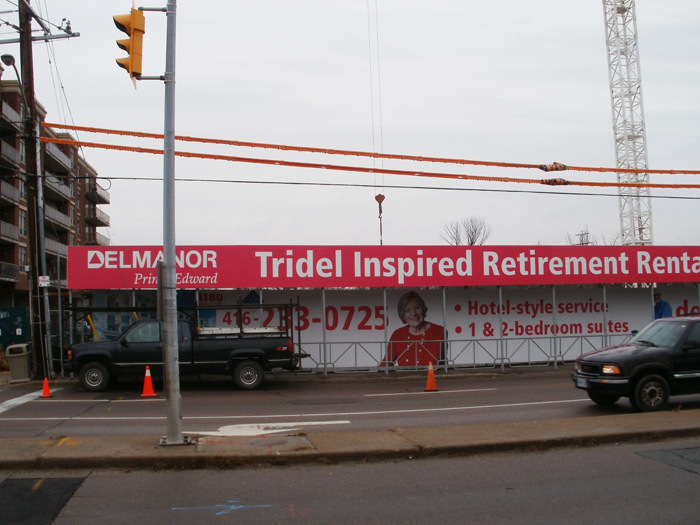 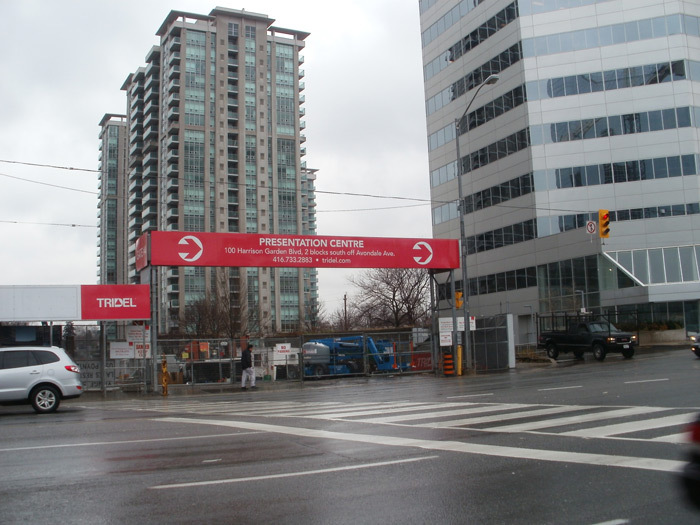 Freeman and Peter Signs offers complete services for your hoarding, from concept, design, and printing to installation. 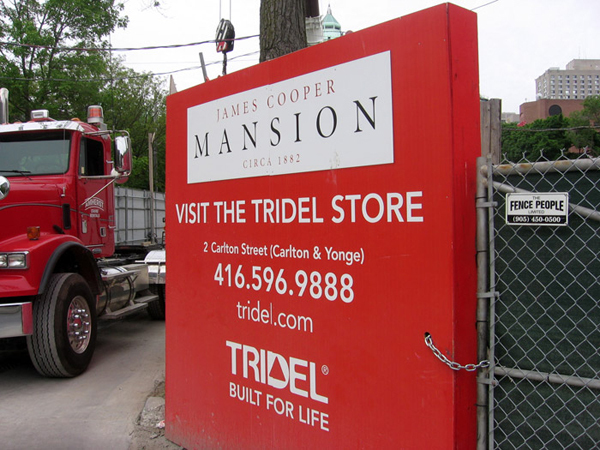 Send us your project scope for a free estimate.